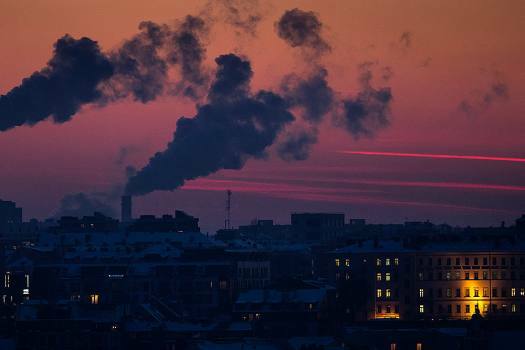 Smoke rises from chimneys during a freezing winter evening in Vilnius, Lithuania. 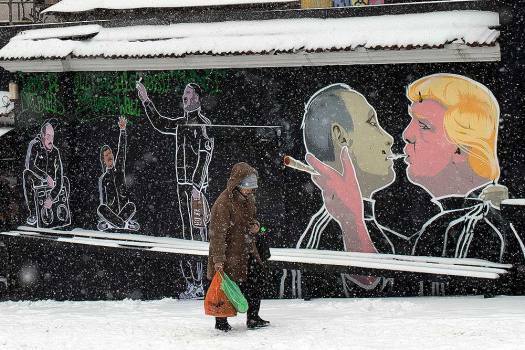 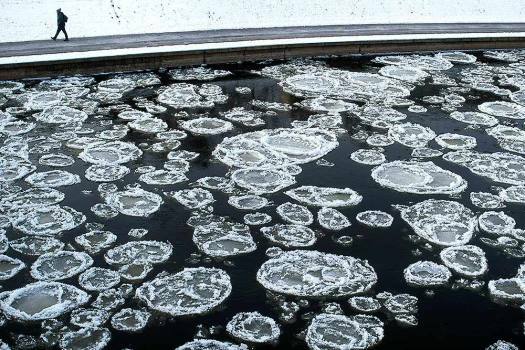 The air temperature reached -7 degrees Celsius. 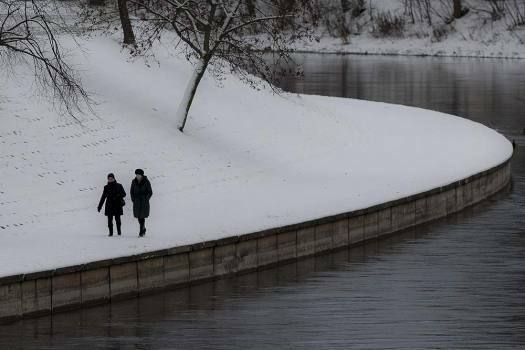 Women walk along the snow-covered banks of the Neris river in Vilnius, Lithuania. 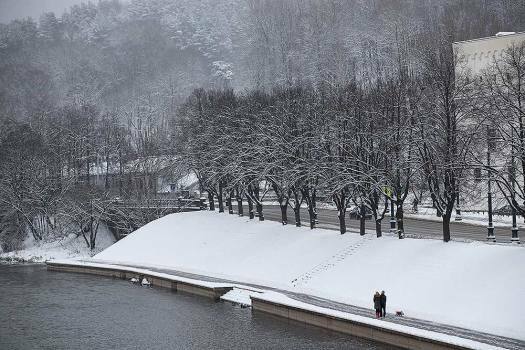 Snow continued to fall across the country, as temperatures -3 degree Celsius, 26,6 Fahrenheit. 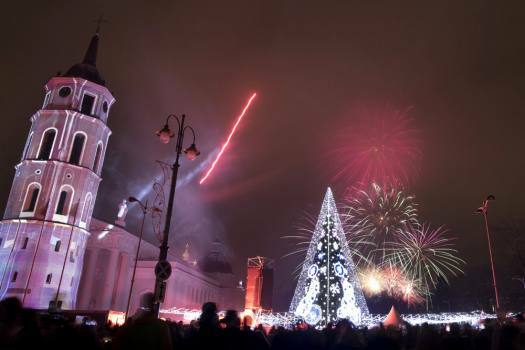 Fireworks light the sky above the Cathedral Square in Vilnius, Lithuania, shortly after midnight during the New Year's celebrations. 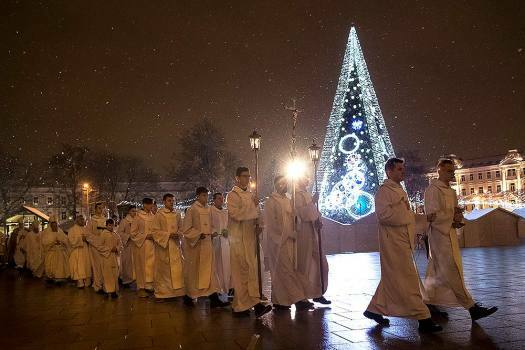 Priests and clergy process to attend the Christmas celebration midnight Mass at the Cathedral-Basilical in Vilnius, Lithuania. 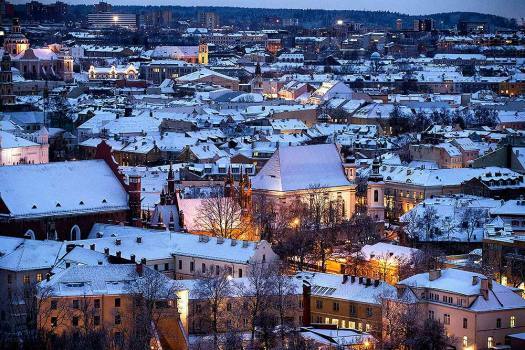 People walk through the snow covered Cathedral Square near the Christmas tree in Vilnius. 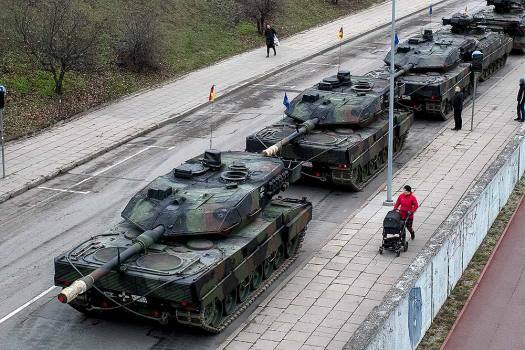 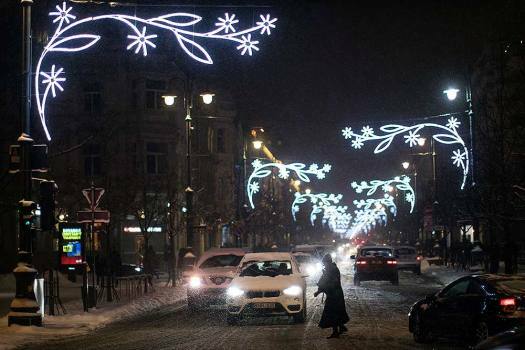 A woman crosses the illuminated Gedimino avenue in Vilnius, Lithuania. 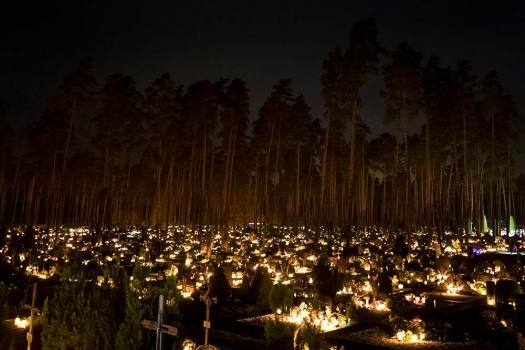 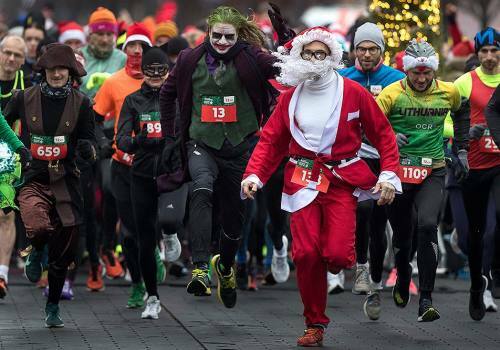 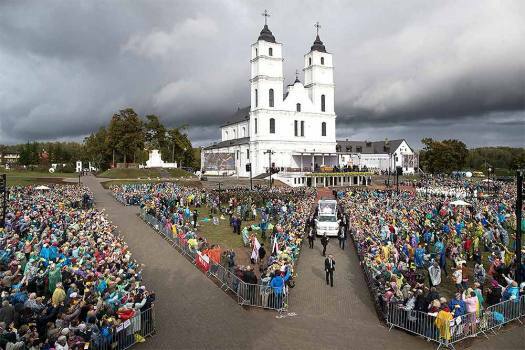 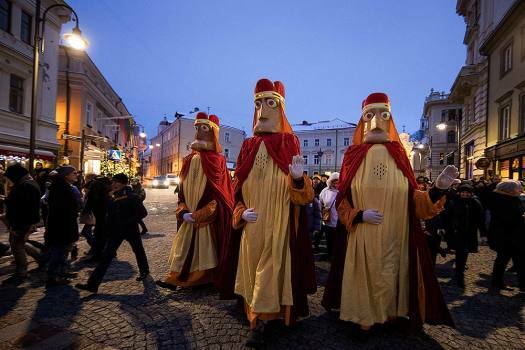 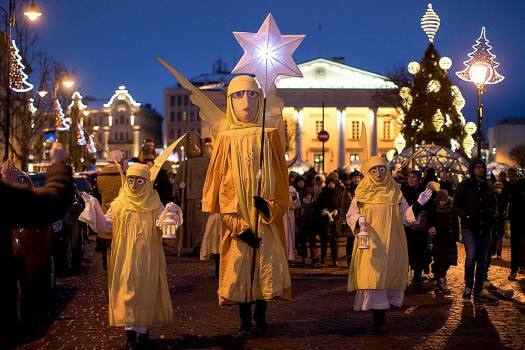 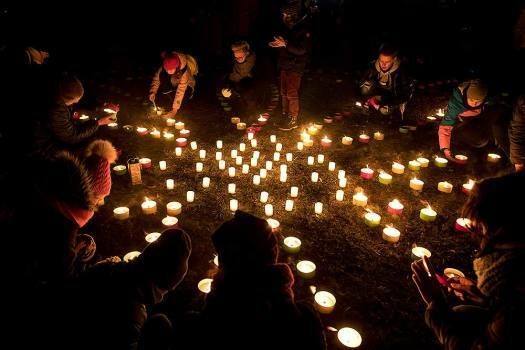 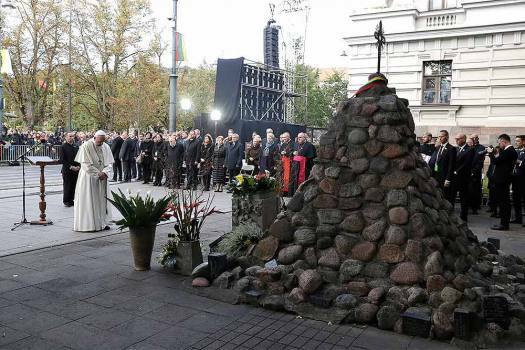 Over 80 percent of Lithuanians are Christians who will celebrate the festival of Christmas on Dec. 25. 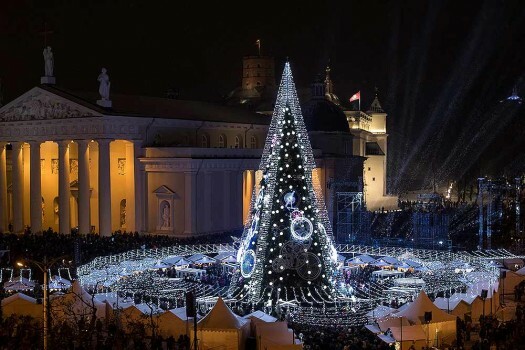 The National Christmas tree is lit during the lighting ceremony at Cathedral square in Vilnius, Lithuania.